When I saw this photo, I was really pleased. I never thought I could get a picture like this with film. In digital, I’ve done it a lot, but never in film. The lens I used was wide open, just to see if I could nail sharpness and blur. 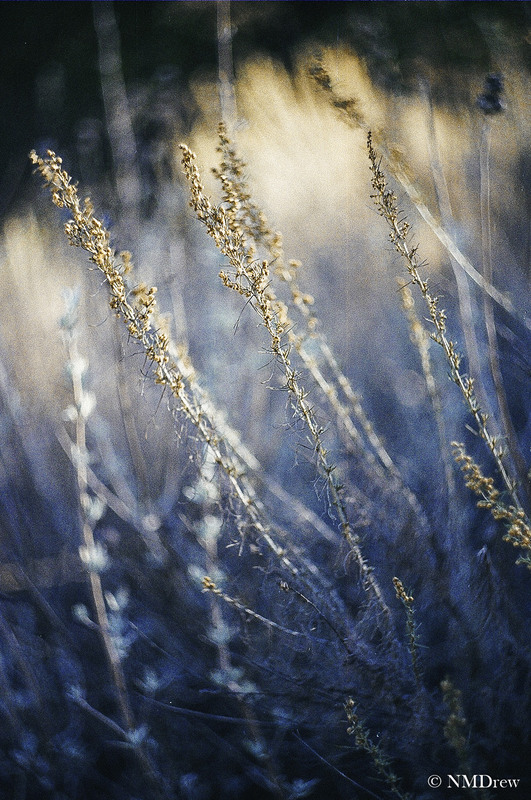 This entry was posted in Glimpses and tagged "photography", 35mm, analog, autumn, film, Grasses, seeds. Bookmark the permalink. I think ‘nailed it’ does the job! It’s quite beautiful, love that blue. Thanks, Fraggy! Do me a favor . . . look at the picture when it comes up, and then click it so it is enlarged. Do your colors change on the screen? Mine do . . . I like the “clicked on” version of the picture better. Thanks! Beautiful image!!! love the colour contrast, and the ethereal look! Thanks, Eduardo! I really liked it myself! I appreciate your coming by.